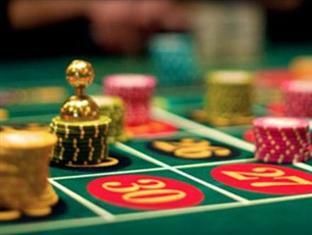 If you have read about Roulette betting strategies, you might have noticed that they advise betting on the Outside bets. So, what are these Outside bets and how are they different from the Inside bets? Here’s a short guide. Bets which are placed along the outer rim of the table layout. Outside bets bring smaller payouts, but offer better chances of winning. 1 to 18, also called Manque in French. A bet that the ball will land on one of these 18 numbers. 19 to 36, Passe, is the opposite, referring to latter 18 numbers. Red or Black is another similar bet. With the exception of the green Zero, here you bet on the winning colour. Snake Bet is a special dozen bet for: 1, 5, 9, 12, 14, 16, 19, 23, 27, 30, 32 and 34. Column Bet refers to betting on one of the vertical number columns in the layout. Bets which offer higher payouts, but are in turn riskier. Straight – betting on a single number. Split – betting on two vertically or horizontally adjoining numbers by placing the chips on their shared line. Street – similar to Column, but here the players bet on a horizontal row of three numbers. Six Line – the bet is placed on two adjoining Streets. Corner – betting on 4 neighbouring numbers that make a square. Trio – a bet placed on the shared point of three numbers: Zero and two from the 1-3. Top Line – a bet on five numbers: 0, 00 and 1-3.